Moving house is never easy; it’s for good reason it’s lumped in with all the other stressful life events like divorce or job loss. Even worse is the fact that even when you’ve waved off the removal men, ordered your first takeaway and cracked open the bubbly, you’re still far from moved in. According to interiors company Hillarys, the average house mover takes an astonishing two years and three months to completely unpack all their boxes. One in ten of the people surveyed said they never actually unpack everything, with bags and boxes languishing in lofts and garages indefinitely. 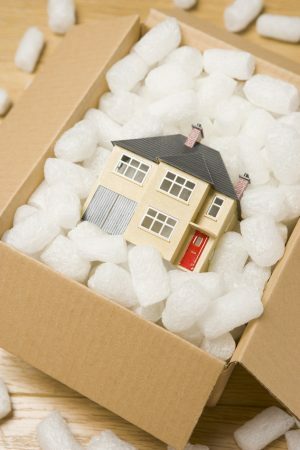 Most movers keep unpacked boxes in spare rooms until they get round to them. These boxes usually hold non-essential items like keepsakes, clothes, artwork and ornaments. Yes, moving is stressful – almost two thirds of the survey respondents said they’d rowed with their partner at some point, with half arguing with other family members and around one third thinking of pulling out! Unpacking as soon as possible actually reduces stress because you make the new place your home. Having possessions tucked away in boxes can lead to you wasting money on replacements and you need to save the pennies after relocating, right? Unpacking also forces you to de-clutter further. Once you get your items out, you realise that some of them just don’t suit your new place so you are forced to take them to the charity shop. No-one’s saying you have to get cracking on the day you actually move in – have a rest or check out the local shops instead. After a couple of days, though, make a start and keep going. A couple of boxes a week, or a box a day, depending on your schedule, is fine. As long as you keep the boxes in sight, you’ll see them disappear and before you know it, you’re at home!